Ryan M: Writing in the point of view of a sociopath creates a set of problems. They will never have the kind of human connection or emotional growth that ground most stories. It’s why most serial killer stories are from the perspective of the detective on the case. It’s easy to alienate the audience when you allow a sociopath to tell the story. When these characters express an earnest truth about themselves, rather than make them more sympathetic, it emphasizes what’s “wrong” with them. Often, weaving in an undercurrent of irony or dark humor can make the character easier to take. Bret Easton Ellis’ American Psycho breaks up graphic tales of murder with pop music critiques. A tale of horror must offer the reader a break from the evil or suffer a tediousness that lessens the impact of the darkest moments. In Chilling Adventures of Sabrina 7, Roberto Aquirre-Sacasa and Robert Hack use humor to give release as Edward Spellman tells his life story. 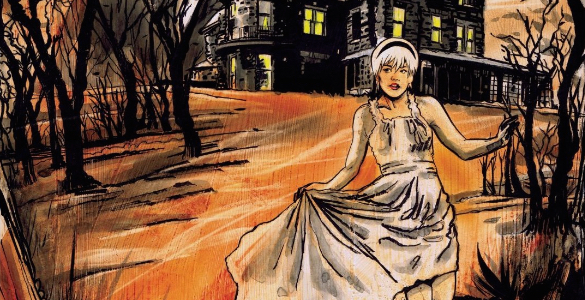 Today, Drew and Ryan M. are discussing The Chilling Adventures of Sabrina 5, originally released May 18, 2016. Drew: That quote isn’t going to make a ton of sense to folks who haven’t seen season 1 of Fargo, but for me, it perfectly illustrates the tension between genre and setting that I’ve come to absolutely love about that series. David Lynch is the undisputed master of this kind of tension, exploiting it to idiosynchratic heights in Twin Peaks and Blue Velvet, but for me, Fargo twists the knife a little further by making the characters explicitly aware of this incongruity. It’s not just about the seedy crime underworld of the seemingly innocent midwest, it’s about how nobody within that setting could conceive of something so dark happening there — they basically believe they’re living in a caricature of 1942. 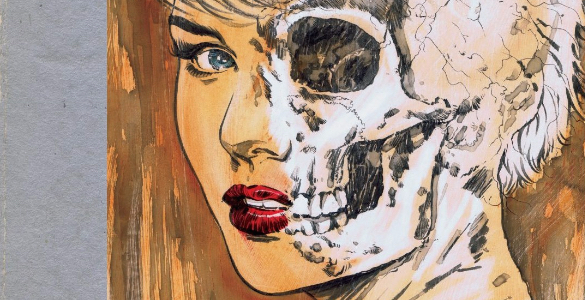 Today, Patrick and Drew are discussing The Chilling Adventures of Sabrina 2, originally released April 15, 2015.